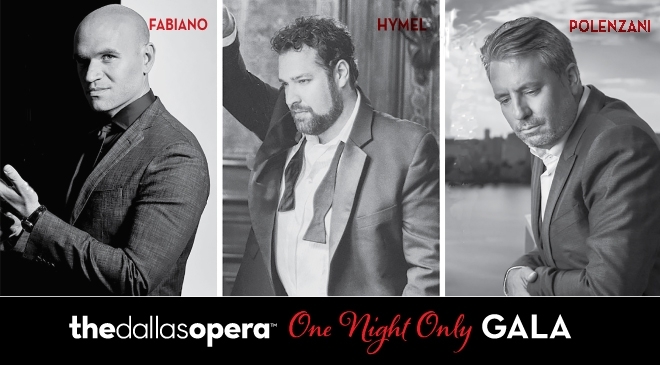 Internationally-acclaimed American tenors Michael Fabiano, Bryan Hymel and Matthew Polenzani will perform with The Dallas Opera Orchestra under the baton of renowned Italian guest conductor Carlo Montanaro. The Dallas Opera, with support from Holly and Tom Mayer, invites you to experience these four world-class artists performing together for the first time. The trio, conducted by Maestro Montanaro, will sing a selection of Opera’s most memorable moments from Turandot, Pagliacci, Werther, L’elisir d’amore, Fedora,Eugene Onegin and La Gioconda. The program will also include an American Song medley and unforgettable songs from some of the finest productions of the twentieth-century musical stage. “Maestro Montanaro and these incredibly gifted tenors have come together in the prime of their careers to create an unforgettable evening of poignant and passionate performances,” explains Ian Derrer, The Kern Wildenthal General Director and CEO. “The trio will perform highlights from the opera repertoire that have made them world famous, as well as audience favorites that originated under the bright lights of Broadway.